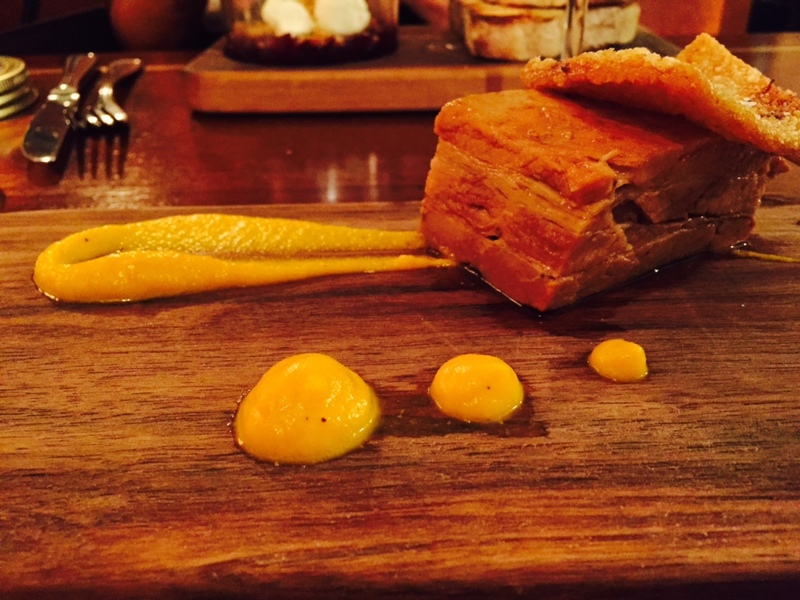 After a busy Christmas and sick of Turkey and ham, we decided to try out Brookwood on Baggot St. Being a Monday night we weren’t expecting an amazing atmosphere, although you are without doubt spoiled for choice with fantastic eateries all around . Brookwood is certainly somewhere which has divided opinions on the dining experience, ours we are glad to say was a positive one! On entering the restaurant first impression is a welcoming and warm front of house, we were seated downstairs close by the open plan kitchen. Seated in a cosy booth of tanned leather surrounded by rich dark woods and the green velour curtains, close your eyes for a second a you could be on An Orient Express carriage. No doubt a lot of money has been spent transforming this relatively small building into this intimate dining layout which may not appeal to all. However the upstairs dining area has a more spacious layout and would suit larger parties better. We had a birds eye view of the very compact kitchen and the perfect way of sizing up what to order. 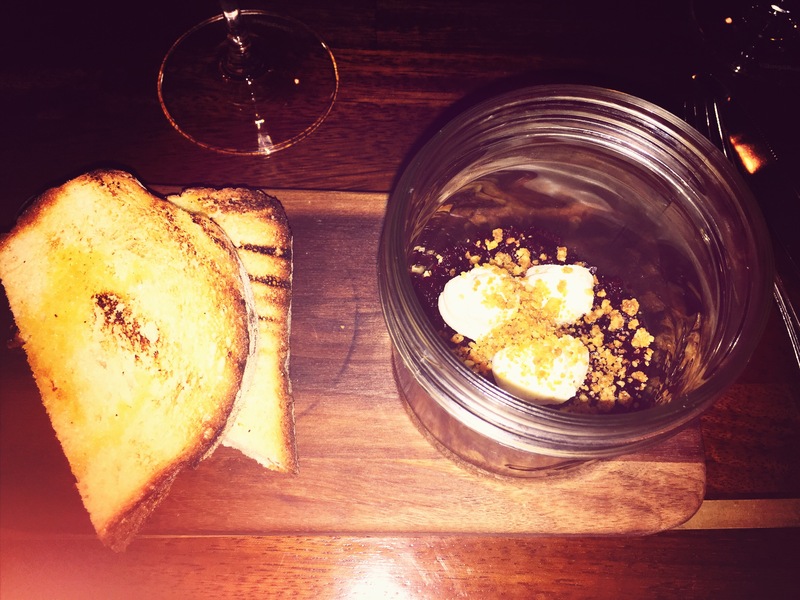 For starters we settled on Goats cheese, beetroot and walnut jar and the Pork Belly. The goats cheese dish was enjoyable and the toasted brioche was a nice addition, would have loved to see a little bit more walnut though! The pork belly was definitely a more substantial affair, with a decent sized portion and a nicely cooked bit of crackling on top. We ordered a couple of glasses of Samuel Billuad Chablis, what a deliciously classic wine, only regret driving so we didn’t enjoy a bottle instead. In serious need of a red meat fix we decided on a an 8oz fillet of steak with a hardy portion of colcannon on the side and the Tuna steak with a side of steamed greens to ease the guilty Christmas conscience. 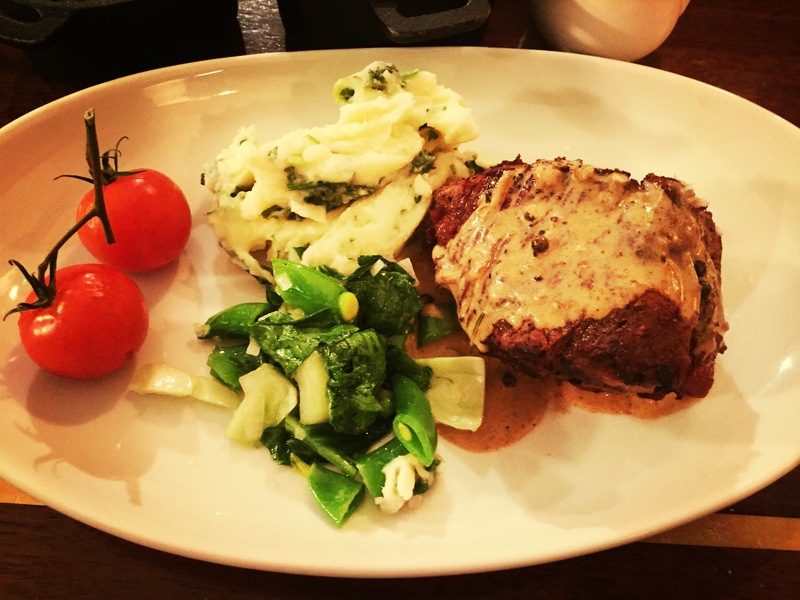 The fillet steak was cooked to perfection, this is what Brookwood pride themselves on, locally sourced high quality Black Angus cuts supplied by top class Suttonian butcher Rick Higgins. It was full of flavour and was beautifully tenderised. The colcannon mash was creamy and a nice authentic match to the spinach and sugar snap greens. 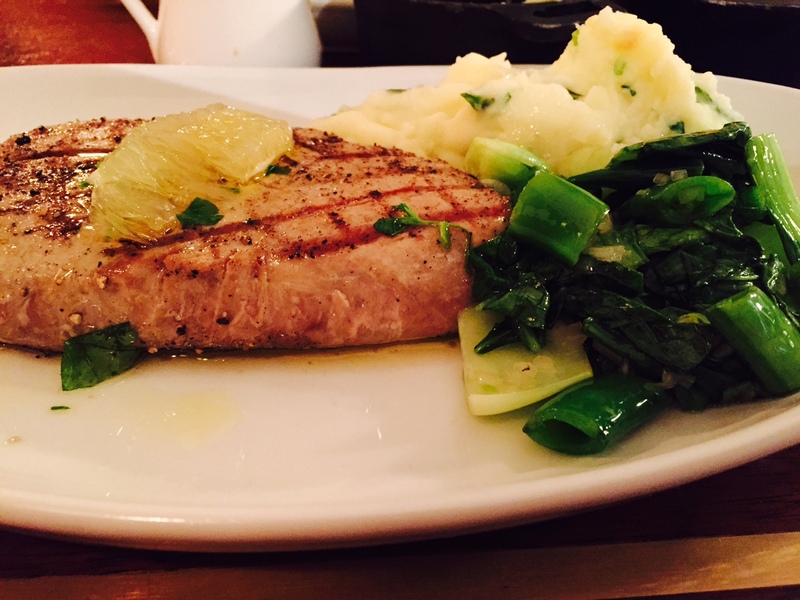 The tuna steak was a mammoth portion with zesty juices and just a about left room for any dessert. 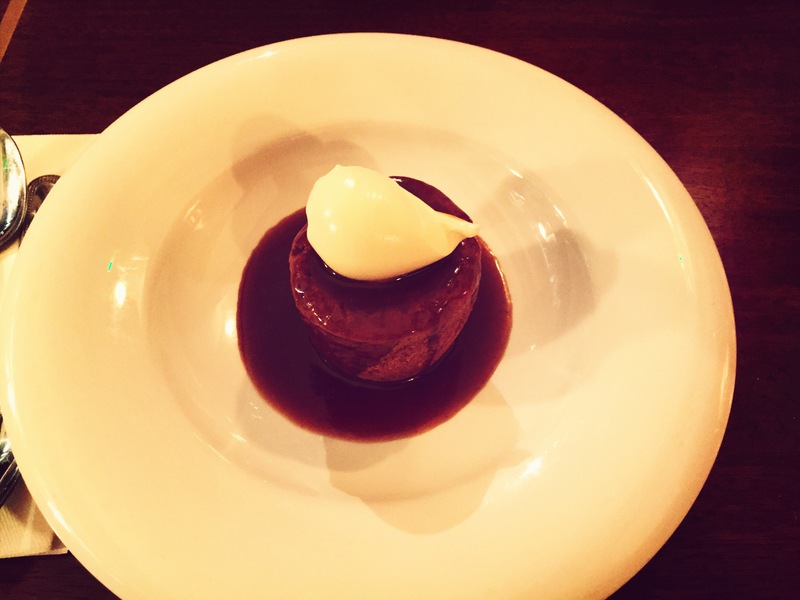 We shared a little sticky toffee pudding which was more than enough between two, pudding was nice and light and the warm caramel gave it the little lift it needed. Brookwood may not tick all the boxes but there is no doubt they have something special here and the steak is by far the stand out star. This is definitely a taste we would recommend!